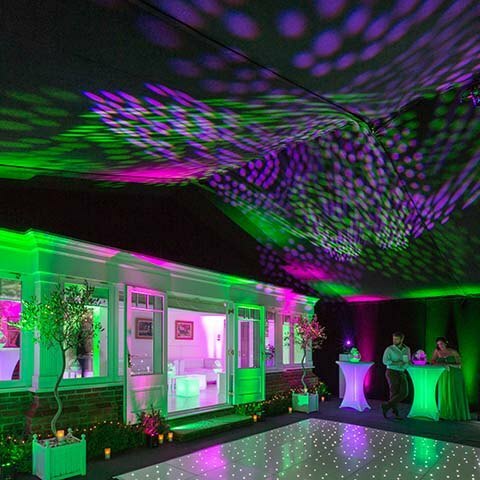 We utilised the ground floor of our clients’ Wimbledon home, and an attached marquee installed in the garden extended the party area. 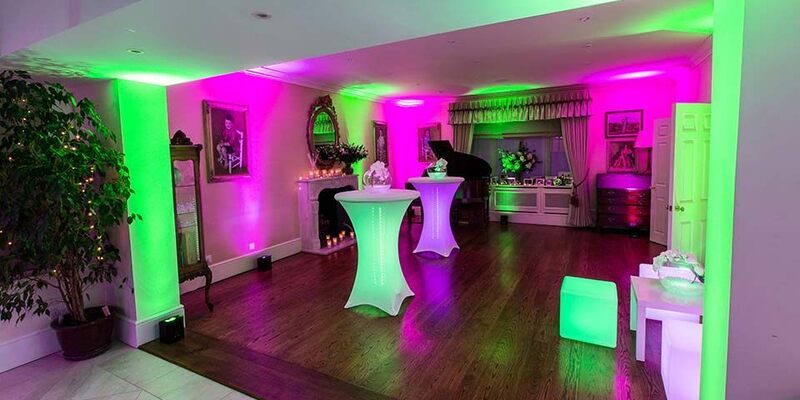 Working with our clients colour palette of greens, pinks and purples, the normal living space was transformed with vibrant and luminous moving lights, illuminated poseur tables and cube seating – from the moment guests arrived, they were immersed in the party atmosphere. 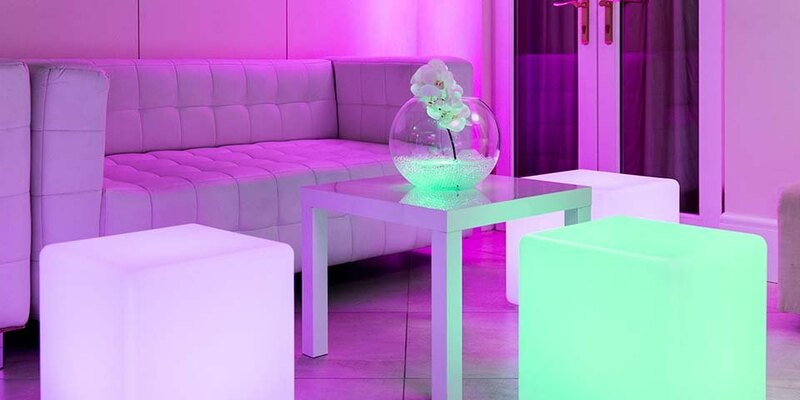 The conservatory area provided an ideal chill out area, dressed with stylish white sofas, before entering the marquee. With its black velvet wall linings and roof canopy, wireless uplighting and intelligent moving lights we created a nightclub environment. 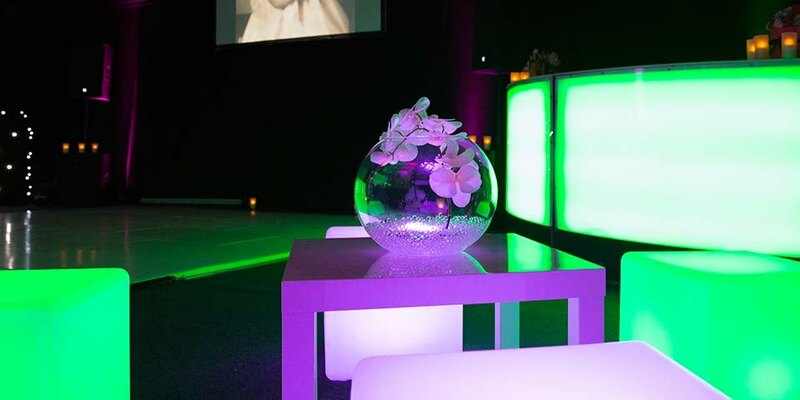 A white starlit dancefloor and LED drinks bar completed the look and ensured happy guests who danced the night away.